Wix Answers is an absolutely free to use customer service software that is equipped with a ticketing system, knowledge base, call center and many more features. It is a free help desk software that is easy to use, and comes with great tools that can easily assist your business as well as your customers, and further generate great ROI for your organization. You can set up the software in a few steps without the need for any external assistance. The following review will help you to evaluate the benefits of Wix Answers, as well the features associated with it. Wix Answers– What are the features of this software? With the assistance of Wix Answers, you can easily create a help center in a span of a few minutes, equipped with a user-friendly knowledge base. You can select from a wide range of templates, customize the look and branding, add relevant articles and finally publish within a click of a button. With the knowledge base, you can easily create guides, FAQs, and any other content your users may need. Through the help center, you can better serve your customers, as well as your business. Assist your customers anytime and from anywhere. Wix Answers allows you to assist your customers like never before. With the help widget, your customers can access knowledge base articles or create a support ticket from anywhere on your site. Your valuable customers can access any article or tutorial without even leaving the page. Furthermore, the help widget is customizable and allows you to choose what fields your customers need to fill out in order to process a ticket. Take effective business decisions with actionable insights. With the assistance of the help desk software, you can check the performance of your team, customer satisfaction and the response time of tickets being generated. With the internal reports, you can have thorough insights about your customers, products and team. With the Wix Answers help desk, you can easily categorize, manage and track tickets coming from various channels. While your clients may be contacting you through phone, email, and Facebook, you can easily manage all your support in one place. Furthermore, you can send knowledge base articles in tickets and get an understanding of where your customers are having the most trouble. Wix Answers- What are the advantages of the software? Yes, you heard it right: Wix Answers is free to use. The platform is being used by more than 120 million users, and is one of the few platforms that includes a ticketing system, call center and knowledge base all in one place. The help desk provides you with everything you need to support your customers. In the digital era, things tend to happen pretty quickly, which is why you would need a very strong support system. With the help of Wix Answers, your customers can reach you 24/7 and you can manage assisting them. You can even assign tickets and calls to specific agents within your team. Navigating Wix Answers is easy both for your team and for your users. You can check on the status of each ticket, easily add and change content in your knowledge base, and get thorough insights. By efficiently and smoothly supporting your customers, you are providing them with the type of service that will have them returning to your business. You don’t need to be tech-savvy to handle the functionality of Wix Answers. The help desk can be set up without any form of assistance in just a few steps. Wix Answers is built to be SEO-friendly so that your content, written and catered to help your customers, may be found directly on Google. Fill your knowledge base with useful information that your customers will want to read. 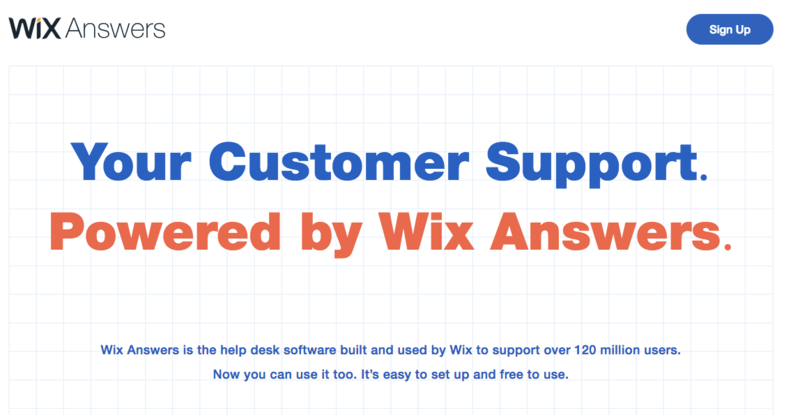 Wix Answers is an efficient and user-friendly help desk that every organization should try out. It is equipped with a lot of features and advantages that make it stand out from any other software in the market. More than 120 million users are currently using it, and it is growing rapidly. You can easily set up Wix Answers for free now. Previous articleMovavi Slideshow Maker Review. Next articleWhat is Single Sign On and How Does It Work?